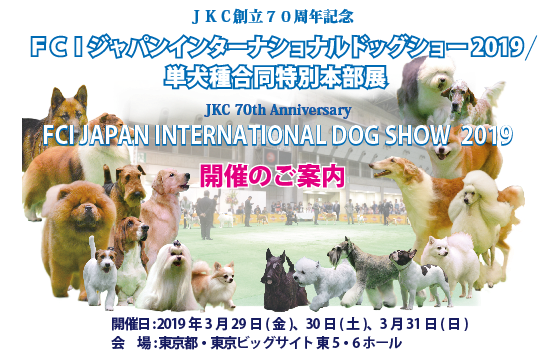 On the 31st of March the JKC will be hosting the FCI Japan International Dog Show 2019 at Tokyo Big Sight. As a special addition to the JKC 70th anniversary show, there will be a Nihonken Parade which NIPPO has agreed to collaborate on. Representatives of the Japanese breeds that have placed at the grand national will be present, and I've been asked to show Masamine there. 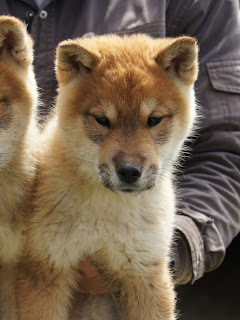 I'll be taking some Shikoku pups with me as well since it will be great publicity for the Japanese breeds. 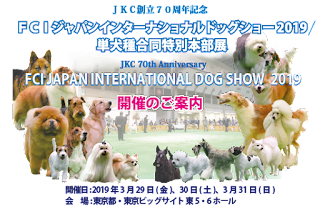 Dog lovers in Tokyo, drop by the show!